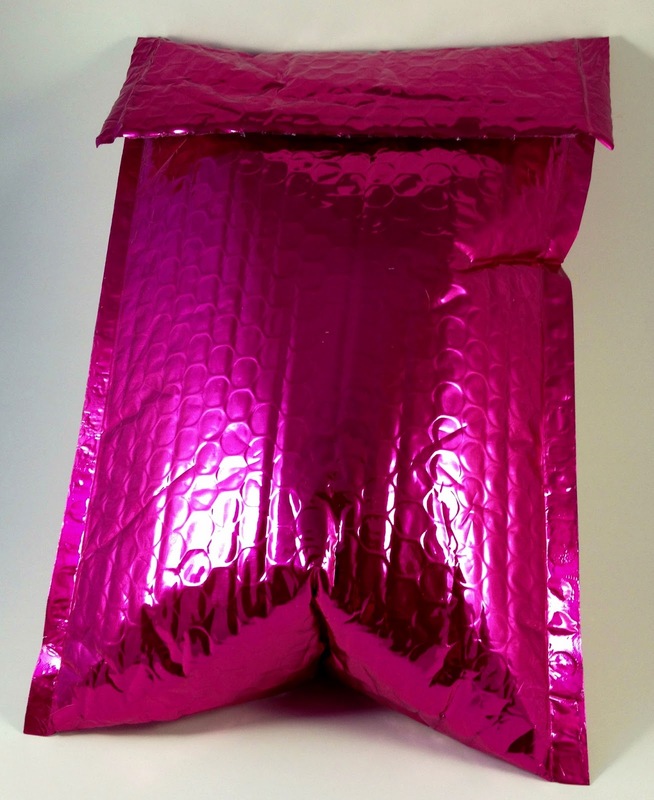 Ipsy creates glam bags each month and ships them to your door. 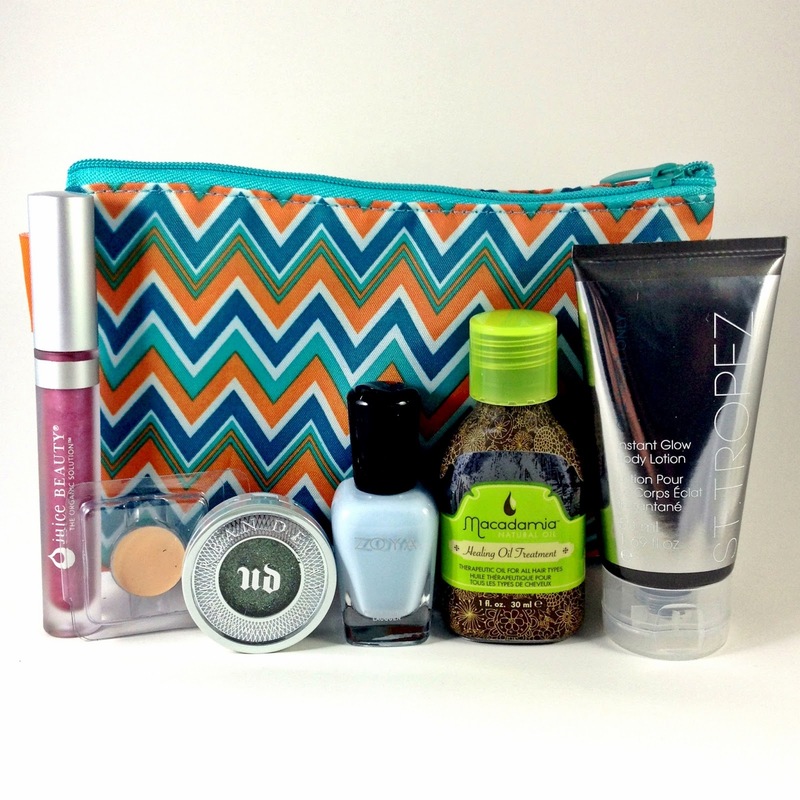 Each month you get a cute makeup bag and five beauty products. Some products will be full size with a few usually being deluxe samples or mini sizes. They are only $10 a month and I always get much more than $10 worth of products. I had a good feeling about this months bag. Enough that I didn't even look at the sneak peeks of products or anything. I wanted to feel sheer excitement upon opening my bag and I got exactly that. I tore my bag open to find a delectable chevron patterned makeup bag and a whole pile of this months products! I received Juice Beauty Reflective Gloss in Pink, a Yaby Concealer Flawless Refill pan, Urban Decay Moondust Eyeshadow in Zodiac (!!! ), Zoya nail polish in Blu, Macadamia Healing Oil Treatment for hair and St. Tropez Instant Glow Body Lotion. Thank you for considering me an active participant Ipsy! <3 Now onto the good stuff. 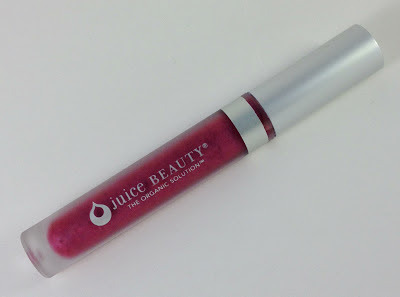 Juice Beauty is an organic brand from California. They focus on using pure ingredients and are eco friendly! The full size Reflective Glosses are .28oz and retail for $15 which is big! The size included is .14oz which I assumed was full size when I saw it. There is a lot of gloss in the tube already. The gloss is not sticky which is nice and extremely glossy. On top of that there are little shimmers inside! This gloss is filled with all kinds of real berries, sesame oil and agave extract. I had heard of the Urban Decay Moondust Eyeshadows but haven't seen them in person before because they were just released about a month ago. I'm a totally UD Naked junkie. I have both Naked eye palettes, the Naked Basics palette, the Naked BB Cream and the Naked Skin Foundation. This eyeshadow shows me how much I need to branch out and try moreeeee of their products. This shadow is dazzling. Zodiac has deep green base with brown accents but, the kicker is the glowing opalescent glitters that are crammed in here. 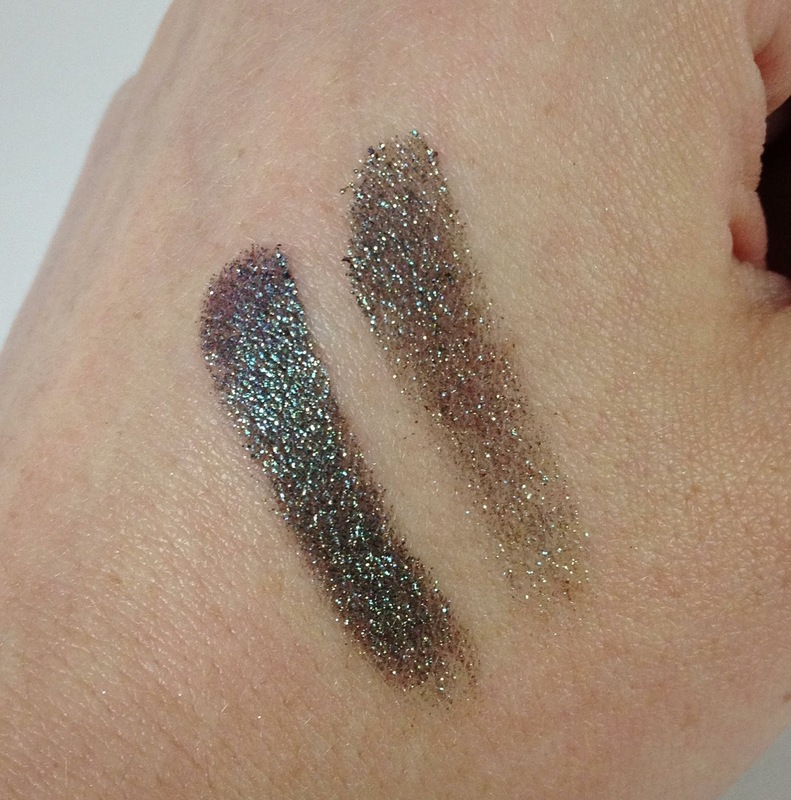 These glitters are fantastic in that they lay flat! No heavy fall out with these. This swatch shows the eyeshadow applied alone on the right and applied with a little bit of water on the left which really packs a punch. The picture really doesn't show how amazing these shine so heres a Vine! (I made a rhyme).....and also apologize for being super cheesy. Macadamia Healing Oil Treatment is a therapeutic oil for hair. 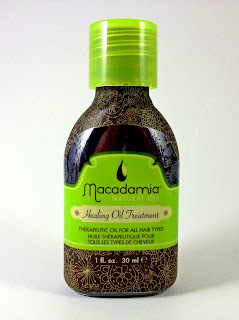 The oil is weightless and easily absorbed by hair so you won't get any yucky oil-slick head when you use it. I'm super excited I got this because I just ran out of my John Frieda Frizz Ease. I usually just rub it between my palms and smooth the top of my hair to get rid of fly aways. This oil sounds like it will do just that and more! This smooths and shines while also giving UV protection, extending color treatments and also has a reduced drying time. Oh and did I mention this stuff smells ah-may-zing? It is strong but wonderful. I want my hair to smell like it all the time. This bottle alone is worth more than my $10 Ipsy monthly charge. What a bang for my buck! 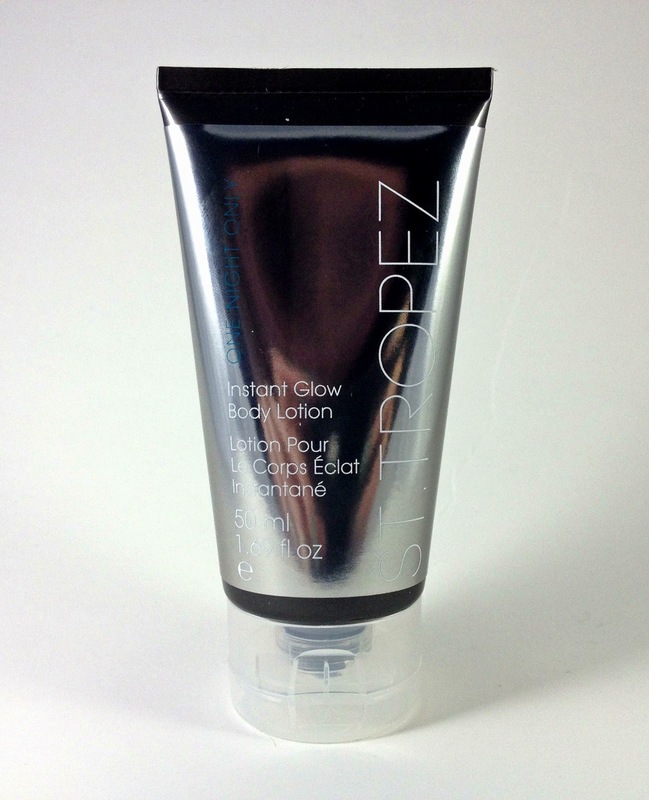 St. Tropez Instant Glow Body Lotion is basically a tan in a bottle. You apply the very dark lotion and smooth it into the skin. St. Tropez suggests you use your palms, an applicator glove or rubber gloves to apply. The lotion will immediately tint your skin. You can almost control the shade by how much you rub it which is fun. You will stay bronzed until you wash it off with soap and water and then I get to go back to being a pasty white ghost. The left shows my hand how it normally is (I know it fades into the white background. 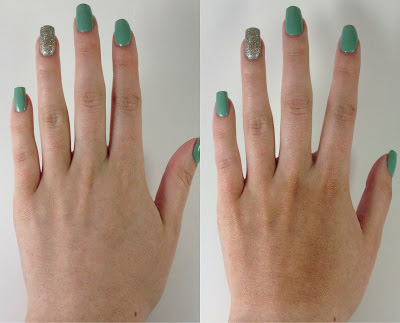 Maybe squinting will help you see it) and the right shows where I applied and smoothed in the Instant Glow onto the top of my hand. I didn't do fingers or my wrist or by my thumb so you could see the contrast. This lotion is really fun but I do have concerns. What happens when I'm at a party all bronzed up and my clumsy self pours a drink all down my front? Will I be left to strip down and give myself a sponge bath in the hosts bathroom so my skin matches only to emerge five shades lighter all while trying to play it off that the power must have surged and changed the house lighting? Or more applicable, if I wash my hands when using this stuff all over would I end up looking like I stuck my hands in marshmallow fluff? I'll play around with St. Tropez Instant Glow Body Lotion but I'll have to see how it holds up over a nights use. Yaby is interesting in that you can pick an empty palette or container and fill it with whatever pans of makeup you'd like on their website. I got the Yaby Concealer in Buff, one of their lighter colors. (Sorry for the smushed pan pick I forgot to photograph it before I swatched). On the left my hand is normal. 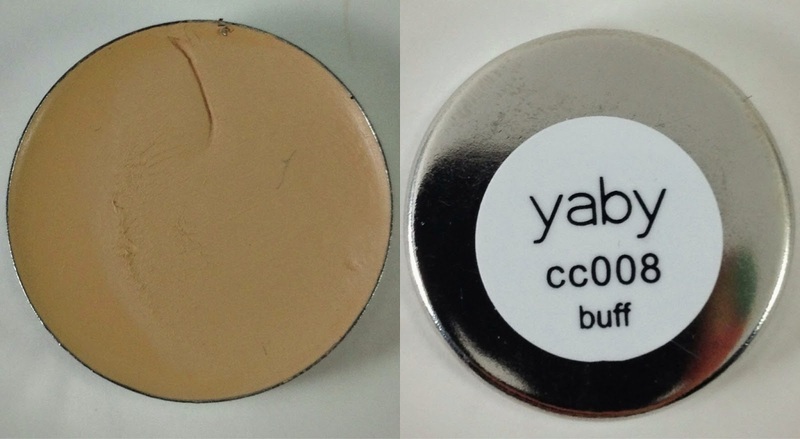 On the right I used the Yaby Concealer to coverup a beauty mark and I did a plain smudge without rubbing it on a little higher on the hand. It feels very thick which is good for coverups and did a pretty good job of concealing my beauty mark but you can still see it peeking through a bit. I'm sure if I paired this with a foundation it would be pretty much invisible though. I'm so excited that this matches my skin tone and I'll definitely be trying it with my normal makeup to see how it stacks up against my Tarte Cosmetics Amazonian Clay Concealer. Zoya Blu is BRAND NEW from the spring 2013 Lovely Collection. 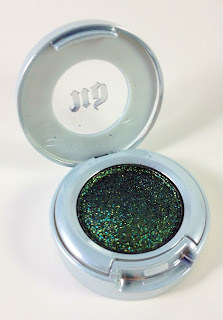 I was so psyched when I saw the black Zoya box in my Ipsy bag and even more psyched when I saw it was Blu! Zoya Blu is simply everything I love about this brand. 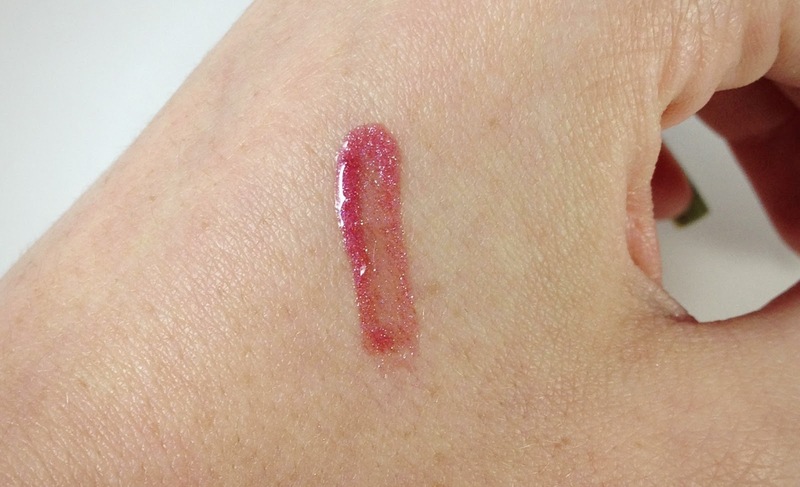 The coverage is glossy and opaque in two coats. The color is a beautiful, pastel baby blue and as a side note I want to marry it and have little blue babies. Pick up this color immediately. Added up altogether this bag has a $59 value (not including the chevron makeup bag). 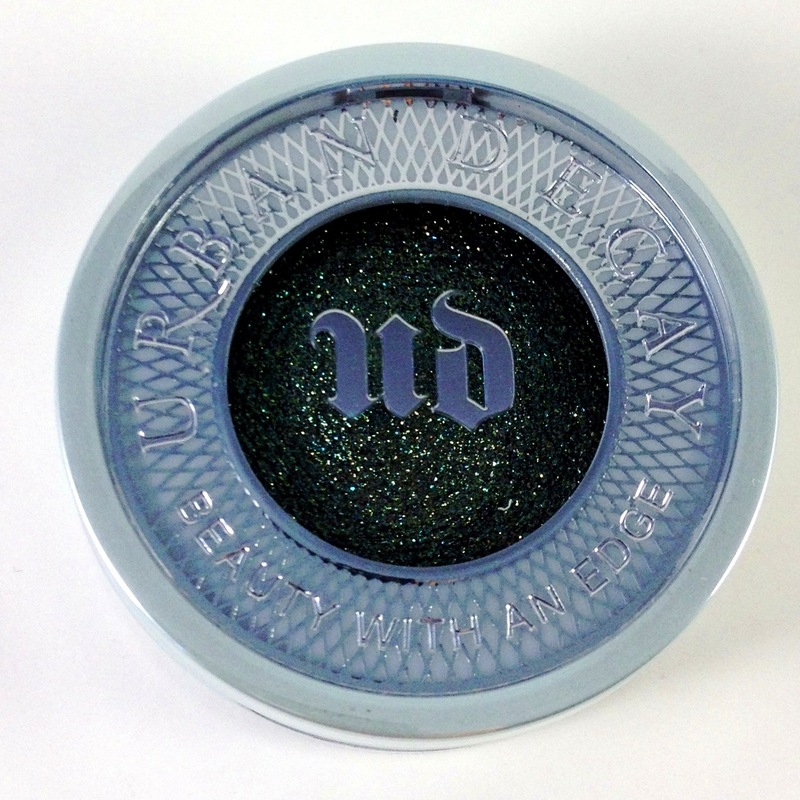 Even if you didn't get the Urban Decay Moondust Eyeshadow as an extra you would still get a bag worth $39 when you only paid $10. I always get a great value with my Ipsy bags. This has got to be one of my favorite months ever! Want to try Ipsy for yourself? It is easy to sign up! Just follow this link and make yourself a member! You can cancel your subscription at anytime, otherwise you'll get a nice little bag of goodies at your door each month. I'm really happy with where Ipsy is going. Their bags seems to just get better and better. They now are introducing a perks system when you refer people to join which is always great! I am also happy to see that they are starting to mix up the products in each months bag instead of the same thing to everyone. This way users will be more likely to get items that fit their tastes based off their beauty profile. Keep up the amazing work Ipsy! I'm proud to be an Ipster. I wish they gave out different polishes of zoya. It just looks like blu didn't see well for zoya so they just gave this one away. I'm so jealous of the items you got! I wish I got that eye shadow, so pretty! They actually gave out all different shades from the Zoya Lovely Collection! I saw other people who got yellow, pink and blue as well. The collection was just released so it is very new and many people are looking to buy. I'm very pleased with the Zoya. I hope they continue to include more nail polishes. Those are my favorite! I got Julie, which is a purple color with silver shimmer! Really? The only ones I saw so far was blu in bags. Ugh I'm so jealous that you got Julie! I think the "Influenster" bonus is cool but I'm never on ipsy enough to get near earning one. How much are you usually on Ipsy? I'm actually usually not on their Ipsy site. I will post my reviews via my blog to their facebook page and on my instagram which is what I think helps me qualify for the extras. I tag them when I post in both places so people can link back to them and they can see the posts.